Michael Jordan, Danica Patrick, Tiger Woods. All athletes that are sponsored by various companies don't have anything on me. Why not? Because they aren't sponsored by Terramar! 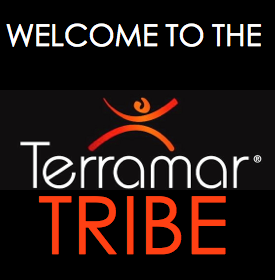 Terramar asked me to be part of their Tribe, one of their brand ambassadors. I jumped at the chance because I have become familiar with their products over the last several years and know what solid merchandise they make and wanted to help put the word out there on their behalf. So what will you be seeing at EWH over the coming months? 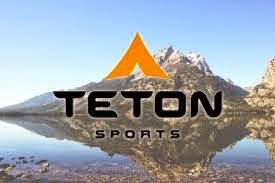 Well, there will be products reviews of the gear I get and I also hope to be sponsoring some giveaways and give you an honest opinion of the gear in my travels so you may see Terramar pop up from time to time in my trip reports. I am hoping to devote most of the upcoming Thursdays on the Blog to letting you know my thoughts about Terramar products (both the good and the bad) as part of my #TerramarThursdays project for this year (creative in naming things I am not). As I have said on my oh-too-infrequent posts reviewing other gear, this is the Internet, so take the reviews with a grain of salt. I am getting some products from Terramar and while I know that you all love me, make your own decisions about whether to buy the gear. That being said, I am super stoked to be a part of the Tribe. Great things are happening here at EWH, I have deep into my wilderness travel course, I have started patrolling as part of the Glendale trail patrol, I am planning trips to Yosemite, Joshua Tree, Mt. Baldy and the Sierras this year and now with Terramar literally getting my back, I think this is going to be a great 2013!